Learn which one will best suit your needs. Not sure which tool will work best for you? When it comes to demonstrating the ROI your solution can bring potential customers, there are various types of value selling tools available. But what’s the difference between them and how do you know which one will best suit your needs? 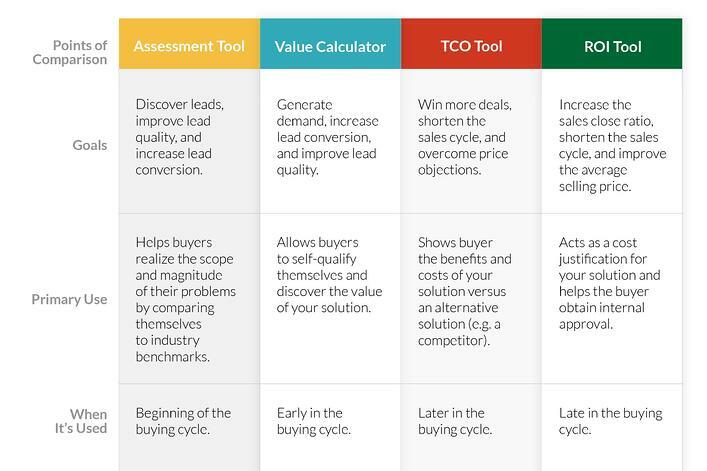 First, check out this quick-glance comparison chart to see which tool might help you best.